The period of history from the 5th to the 15th century was known as the Middle Ages. During this time, the law of the land in Europe was known as the “feudal system.” This was the manner in which the upper 10% (the nobility) controlled the lower 90% (the serfs or peasants). There were a few kings who were very wealthy and powerful, who owned all of the land. To maintain control of this land, it was broken into fiefdoms and pieces were given to friends of the kings (barons). The barons then allotted land to their friends and allies in order to govern efficiently. It was in this manner that the “nobility” was created, and the land passed down through these select few families by manner of inheritances. The reward of being delegated this control came at a price. To maintain the control of the fiefdoms, manors and estates, the nobility had to pledge fealty to the kings and pay them taxes and homage. It is estimated that just over 90% of the population of Europe were peasants. Most peasants were basically slaves. They were provided with a small shelter on an inferior piece of land and the “protection” of the noble in charge of that area. In return, they worked for the estate, farming the land with no recompense, paying taxes and having no control over their own lives. Some peasants were “free” and had their own small businesses: blacksmiths, carpenters, bakers, etc. They paid for the protection of the “lord” with money, goods and services. Peasants had few rights. They could be taxed at any time, were obligated to use (and pay for) services of the manor like mills or large ovens, and had to request permission for marriages, change of locations or educating their children. Each year, the peasant was required to give the best part of his harvest to the lord of the manor. The peasants were not allowed to own things that made their lives easier, like oxen or horses, for example. A peasant did not own the land on which he lived and was therefore obligated to live where he was told, grow what he was told, and farm in the manner in which he was told. They were not allowed to hunt on the lord’s land – poaching was an offense punishable by death. They were not allowed to cut trees for firewood, but forced to gather fallen branches in order to stay warm. A peasant was not allowed to have real, effective weapons – those were reserved for the armies of the nobility, in order to keep the peasants in line and immediately quell any quest for dignity and independence. Most of the peasants seemed content with the arrangement because they received security and safety from the lord. He was obligated to protect them from marauders and barbarians, and provide enough land for subsistence. Serfs could be used as a commodity, and traded. If the control of the land changed hands, the serfs were included in the transaction. Is it really a leap to say that we are still living on the feudal system? Members of the global elite still meet and choose the leaders of the world, based on which of those leaders will “swear fealty” by agreeing to the agenda set forth by said elite. The Bilderberg group, with their influence on world policy and finance, are the king-makers – future leaders are vetted by them, then their campaigns are fully funded. In this way, control trickles down but it is just one small group of people who actually call the shots. On a more local level, think about the home you “own.” The properties that we think we own are taxed on an annual basis in most places. As the economic debt goes higher and higher every year, so do our property taxes. As we improve our properties, our taxes increase. If you think you really own your home or land, try skipping your tax payment and you’ll see how quickly the true owners appear. We are merely tenants. Our income taxes go up every time the barons government, needs more money. This leaves us with less money for us to feed our families. Income tax is not optional – it comes off your paycheck before you see a dime of it. You are paying for the privilege of working. We must be granted permission and pay even more taxes for the privilege of going about our every day lives. We must purchase a license to drive on the roads, build on our properties, or hunt and fish to feed our families. Even with a license, hunting is only allowed at certain times per year – self-sufficiently feeding your family with game outside the specific 2 week windows throughout the year is illegal. If we farm, we are obligated to comply with overbearing regulations in order to sell our home-raised food to others. If we choose to farm without chemicals and toxins, we aren’t allowed to advertise the fact without filling out crippling reams of paperwork. We must bow to the FDA and destroy some of the nutrients in our food (pasteurization) if we want to sell it to others. Speaking of monopolies, Monsanto, aided and abetted by friends at the FDA, is attempting to take over the farming industry. If a farmer refuses to use the frankenseeds, and a bit of pollen drifts over from a nearby farm who has sold out to Big Agri, the independent farmer can be taken to court and sued into oblivion, losing his property and his livelihood. If we choose to educate our children at home and raise independent thinkers, we must also be subject to “oversight”. 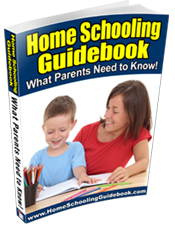 Most states have a governing board which tests home-schooled children on an annual basis. Parents are told what their children must learn and the timeline on which they must learn it. Parents are still taxed to subsidize the schools that their children do not attend and must pay out of pocket for the approved educational material they must use to teach the children. The government frowns upon children being independently educated, as this does not create the obedient serfs that the public schools system is designed to churn out. In return for all of the permissions we must purchase annually, we are all under the “protective” wing of our respective governments. These feudal lords dole out food via welfare programs, healthcare and medication via government standards, and brainwashing education for the children. In the US, for example, the Rubicon has been crossed in that more people receive “benefits” from a government program than do not. The system is not designed to help people get back on their feet – it has been created to establish a system of dependency. People are forcibly injected with toxic vaccines and doled out psychiatric medications. Whereas once education was not legal, now people are being purposely dumbed down and chemically subdued in order to quell any thought of rebellion. A government-induced apathy keeps the masses tame and docile. Weapons have already been restricted in many countries and are being targeted by the US government right now. Only the knights – er, the military and the police – should have weapons, in order to quell any potential rebellion by the peasants – us. The US government has famously made enormous purchases of weapons and ammunition over the past year, while working diligently to remove weapons from the hands of the people. Agenda 21, a document devised by the United Nations, goes even further to separate the 90% from the 10%. In the name of tree-hugging largess, A-21 is quietly working to round up the peasants and place them in cities, with massive restrictions on their movement. Through public transit that only goes to certain places, A-21 is “keeping the peasants on the estate”. People are shoehorned into tiny apartments with no opportunity to become self-sufficient and grown their own food. Using “national land” (parks) requires payment in many areas. Even the collection and use of rainwater is being targeted by Agenda 21, sending the very clear message: WE OWN EVERYTHING. The original feudal system began to decline with the Peasant’s Revolt in 1381. After the Black Death reduced the population by over one-third, there were not enough peasants to get in the harvests. The serfs seized the opportunity, refusing to work, refusing to pay rent and running away from the estates on which they lived. The lords were forced to negotiate with better terms for the peasants in order to get them to work. The monarchy, however, was not pleased with this and began to levy even more taxes on the peasants (austerity measures?) The peasants ended up revolting violently, storming the tower of London, executing financiers and noblemen, and burning down castles. The nobles quickly mobilized a militia and squelched the revolt. The leaders of the uprising were publicly executed. Although the revolt was not seen as a success, it was the beginning of the end for the medieval feudal system, as the nobles realized that the peasants had the power of numbers behind them and that they could wreak havoc by simply refusing to work. What lessons can we take from this? As there has always been, there are those who want a one-world government, divided into small controllable segments, ruled over by those who will support the power agenda, swearing loyalty to the elite. These elite use the following tactics to manipulate the masses: government sponsored false flag events, incrementalism, dumbing down the population, programming opinions through media and popular culture, and entertainment distractions (bread and circuses). Only with unified effort will the people to live in dignity and equality. If only 5% of the people refuse to serve the elite, there are still billions more to take our places. It is vital to spread awareness. Just as the mainstream media drills submission into the subconscious of the masses, we must hammer away at their perceived reality. Vote with your wallets – refuse to support the massive corporations owned by the global elite. Stop buying into their theories on the latest items you “must” have. Don’t shop at their slave-labor big box stores, don’t eat their mass-produced food-like substances and don’t take their deadly “medications”. Put them out of business by refusing to participate and make sure others know why you are doing it. Strive for self-sufficiency. 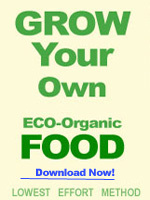 Grow your food, purchase what you cannot grow yourself from local farmers and learn to live with what you can provide for yourself. Providing for yourself is your God-given right, not a permission to be granted by the “elite”, the government or the big corporations. Be aware of the creeping presence of Agenda 21 – fight it every step of the way by shedding light on the plan. Contradict the warm fuzzy language and enlighten people about the land grabs, the ownership of nature and the corralling of humans into controlled areas. Refuse to participate in benefits programs – this system is designed to encourage dependency, and through dependency, control. The most important step of all is shining the light on the secret plans of who consider the rest of us peasants, put here to serve them. Don’t be discouraged if efforts to revolt against this control do not immediately succeed. It took a couple hundred years to make feudalism illegal the first time around. Resist. Teach the next generation to do the same. Learn from the past to create a different future – this is just a new spin on a theme that is ages-old. Be the first to comment on "Serfdom and the Feudal System: What’s Old is New Again"